Who is Dr. Booshka? 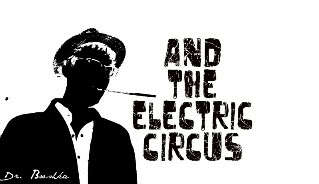 | "Dr. Booshka and the Electric Circus"
He is a living idea. He is you. He is me. He is everything good. He is everything bad. He swims the seas of thought and climbs the mountain of reason. He is philosophy. He is not anything. He is everywhere. He is an infant. He is and old man. He is sitting next to you on the bus. He is the girl you fell in love with as a kid. He is your mother. He is your father. He is everyone. He is nothing. He is Dr. Jonathan Booshka!